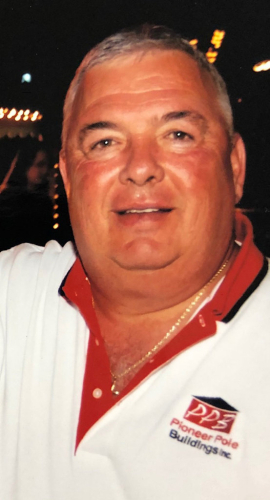 Edward L. Perhonitch Sr., 69, of Schuylkill Haven, passed away Tuesday, Jan. 22, at Lehigh Valley Medical Center-17th Street, Allentown. Edward was born in Hazleton, May 12, 1949, a son of the late Helen Mackowiec and Michael Perhonitch. In addition to his parents, Edward was preceded in death by brothers, Joseph Perhonitch and Nicholas Perhonitch; brother-in-law, Gerald Bonko; father-in-law, James Tregea Sr. He was a graduate of Marian Catholic High School, Class of 1967. Edward was the husband of Brenda Tregea Perhonitch. They shared 28 years of marriage. Edward was a member of St. Michael's Byzantine Catholic Church, McAdoo. He was a Cressona Cardinals Midget Football coach and a co-founder of the Tri-County Blue Mountain Midget Football Program. He was also a board member and coach for Cressona Little League, a coach for Cressona Little League All-Stars and a coach for Schuylkill Haven Recreation Department's Biddy Basketball program. He enjoyed hunting and fishing. Edward was employed as a foreman at Pennsylvania Department of Transportation. He was previously employed as the chief of police in McAdoo, and he also worked part-time for Pioneer Pole Buildings. Edward is survived by six daughters, Robin Cotterill, Charlene Keita, Kathlene Hardy, Kristen Perhonitch, Jodi Perhonitch and Lori Weaver-Kershner, wife of Chad; five sons, Robert, husband of Diane Greene, Joseph Greene, Edward L. Perhonitch Jr., husband of Kristin, Michael Perhonitch, and Adam Gamrak Jr. He is also survived by grandchildren, Bryan, Matthew, Allison, Joseph, Henry, Joshua, Roy, Daunte, Nathan, Adyson, Jadyn, Tori, Skyline, Zach, Trinity and Talan; great-grandchildren, Lenon, Kaylee and Kyree; nieces, Jamie and Kimberly Tregea; nephews, Gerald Bonko Jr., Christopher Perhonitch, Nicholas Perhonitch Jr. and Jordan Tregea; mother-in-law, Joan Tregea; brothers-in-law, James Tregea Jr., and Morgan Tregea, husband of Linda; sister, Michele (Perhonitch) Bonko of McAdoo; brother, John Perhonitch, husband of Bernadine, of Tennessee. A Celebration of Life funeral service will be held at 10:30 a.m. Monday, Jan. 28, at Geschwindt-Stabingas Funeral Home Inc., 25 E. Main St., Schuylkill Haven, with Pastor Randy Ott officiating. A viewing will be held from 5 to 7 p.m. Sunday, Jan. 27, and from 9:30 to 10:30 a.m. Monday at the funeral home. Interment will follow at Schuylkill Memorial Park, Schuylkill Haven. Geschwindt-Stabingas Funeral Home Inc. has been entrusted with arrangements.